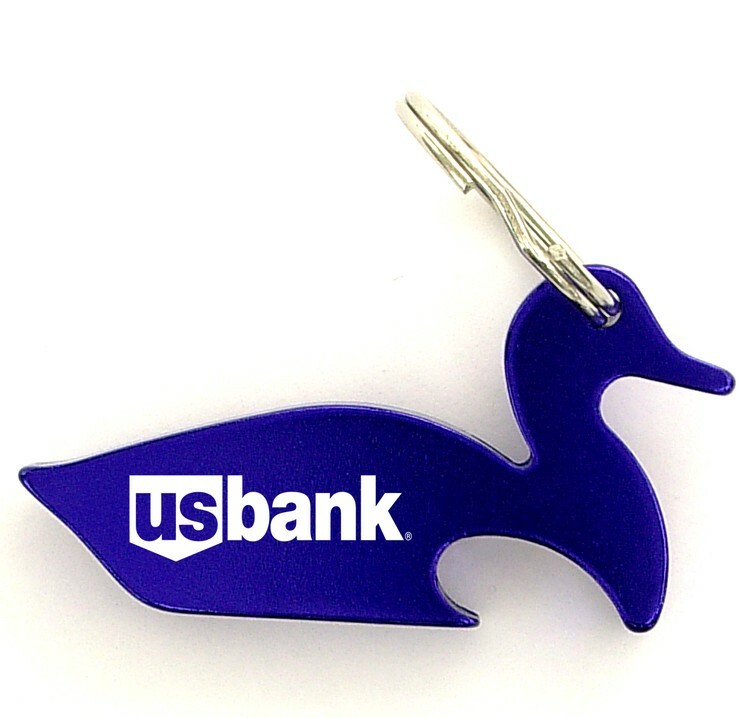 Duck shape bottle opener with key chain. A great gift of beer bottle and pop bottle key holder! Great for pistol lovers! Solid aluminum construction with metallic color finish. 2 5/16 x 1 3/16"